Did you know, every year we use 275,000 tonnes of plastic in the U.K? That’s 15 million bottles per day, all of which are considered ‘single-use’. This means this enormous amount of plastic is only used once, and then thrown away. Did you also know, the majority of plastic shopping bags in the U.K. and worldwide are only ever used once, yet take up to 100 years to decompose? It goes without saying, the current single-use plastic mess is pretty horrifying. You can read more of these astonishing plastic facts at Recycling Bins. There are so many things we can do to reduce our demand for these nasty single-use plastics that are clearly wasteful and cause so much damage to our countryside, oceans and wildlife. Many of the ways we can help are so much easier to incorporate into our daily lifestyles than you might think. Changing everything you do overnight is hard, so let’s simply focus on the small adjustments that will help. Here are the 5 daily ways to start reducing your single-use plastic impact now. 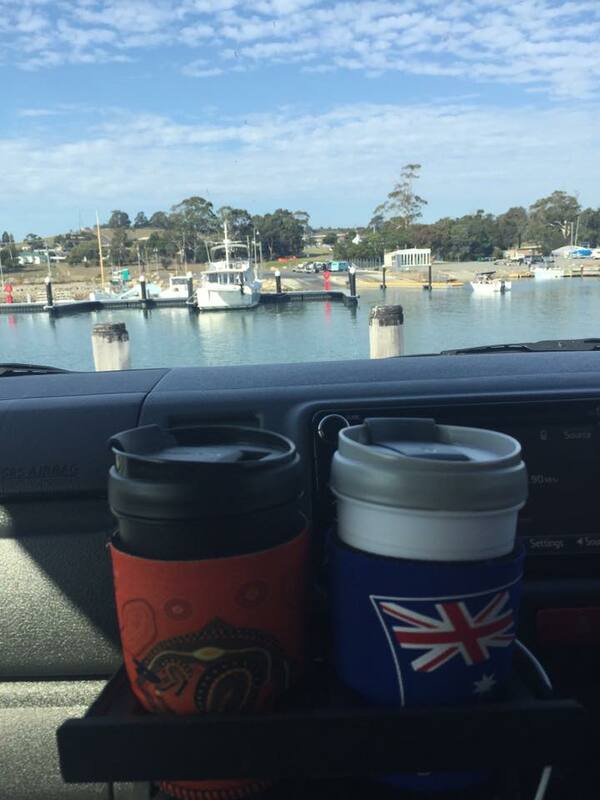 On our Travel Brand Instagram page, we recently shared that travelling with our re-usable coffee cups in Australia helped us to refuse over 300 single-use plastic coffee cups. 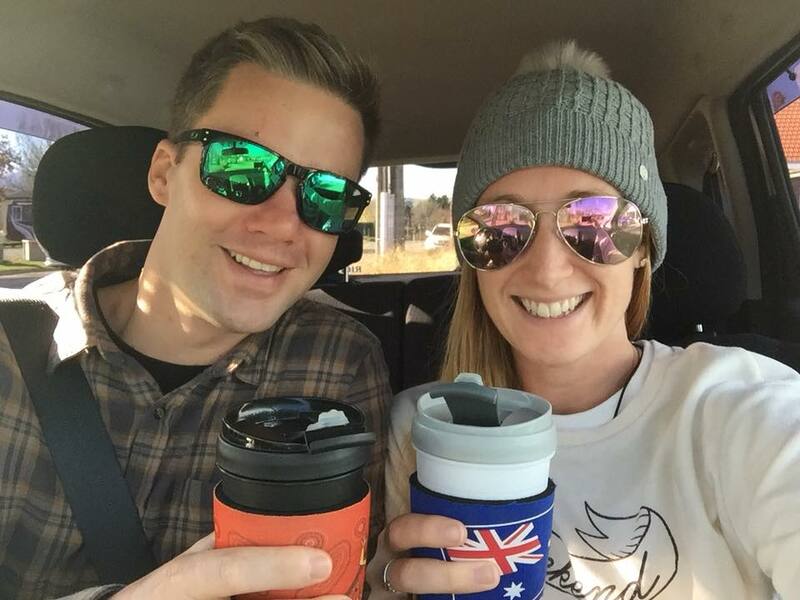 We love hot drinks to-go, especially in the Autumn and Winter months and didn’t want to go without, so we carried re-usable cups everywhere we went. They’re great for work commutes, road trips and outdoor adventures in cooler climates, like city breaks or countryside strolls. Do you know how many coffee cups you use every year? Do a rough calculation based on how many you use in a week and see whether you can get that number down or better still, completely avoid them from now on with trusty re-usable cups. 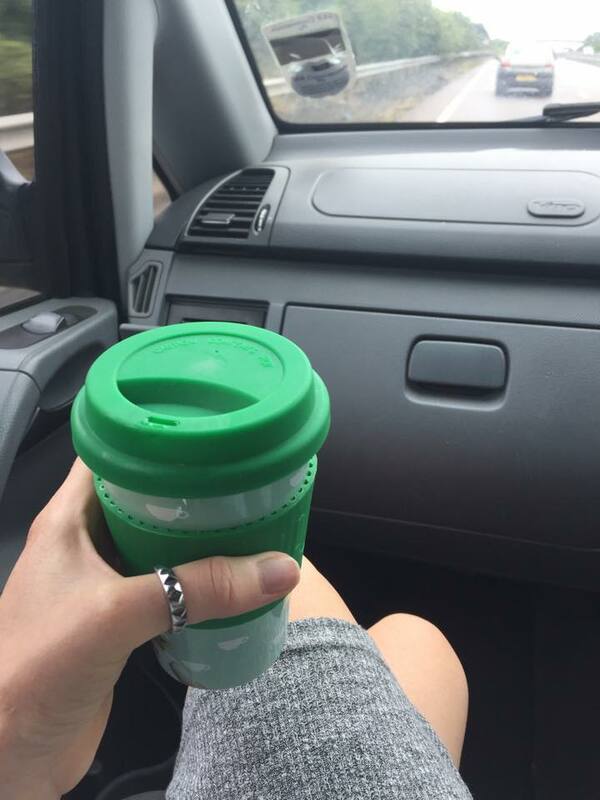 We recommend you keep your re-usable mug in your car, backpack or large handbag. Don’t store these guys in the cupboard at home if you are planning to purchase coffee whilst you are out. You need them to hand, that’s the whole point. Don’t be tempted to purchase a single-use cup simply because you’ve forgotten you’re re-usable one. We have accumulated more than one re-usable coffee cup each over the years but we never throw them away. 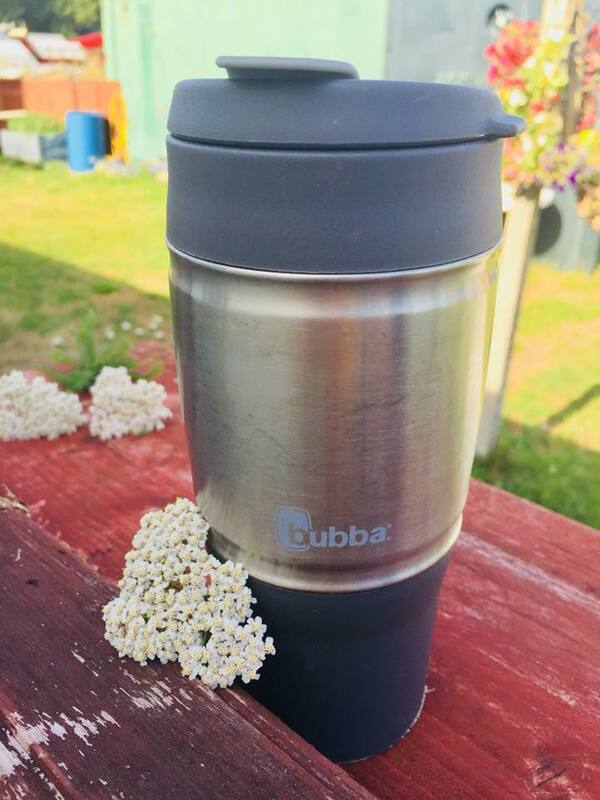 Instead, we keep spare ones clean and in the car boot, so that if we’ve been super busy and not gotten around to washing out our main one, we instantly have another clean re-usable coffee cup ready to go. In 2015, the U.K. made the decision to help reduce single-use shopping bags by charging for these at the counter. As a result, many people have invested in bags for life and avoid carrier bags that they only use once. We are always gob-smacked when we travel to see that in many countries this hasn’t yet been adopted, especially in beautiful coastal areas that suffer the most from plastic trash. Luckily, many European cities, towns and countries are pioneering the way forward with re-usable shopping bags and we are so proud to be part of a country that has embraced this. We all forget our re-usable shopping bags from time-to-time and when you do, try to avoid buying new ones. We have definitely been known to take a trolley full of groceries from the shop to the car, drive the car to the house with all the food rolling around and then grab our re-usable shopping bags from the house to carry stuff inside. This is obviously not ideal, but it certainly beats buying new ones which creates more plastic demand. Avoid our situation by keeping your re-usable bags in your car. We also recommend you keep a small cloth bag inside your backpack or handbag for the times when you are just popping in for a few bits. Similar to the reusable coffee cups, these bags shouldn’t live at home because they really are no use to you there. Unpack the shopping, then put your re-usable shopping bags straight back in your car or other bag. Also, avoid throwing away small single-use plastic bags that you already have and re-use them in the fresh produce isle. You don’t need a new clear plastic bag for all your individual items of fruit and veg. Buy everything you can loose and let it roll around in your trolley if you don’t have smaller bags on you. Remember, you don’t eat the lemon skin, the banana skin or the avocado skin, so why do they need to be in a bag? It might surprise you, but we even let fruit and veg that we do eat the skin of roll around in our trolley, and we haven’t died of any awful diseases yet! If this idea really bothers you, keep hold of smaller plastic bags and re-use them when you shop for fresh fruit and veg. Drinking water is great for our health. It helps our bodies function properly and our minds to concentrate. Regularly sipping water helps to reduce headaches, dehydration and hunger. 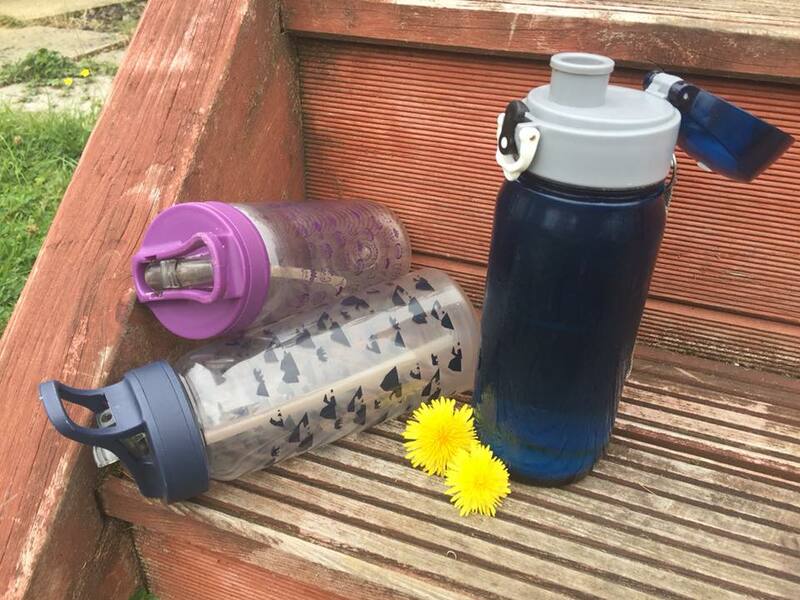 So whenever you leave the house, take your re-usable water bottle with you so that you do not need to accept or buy plastic single-use bottles. 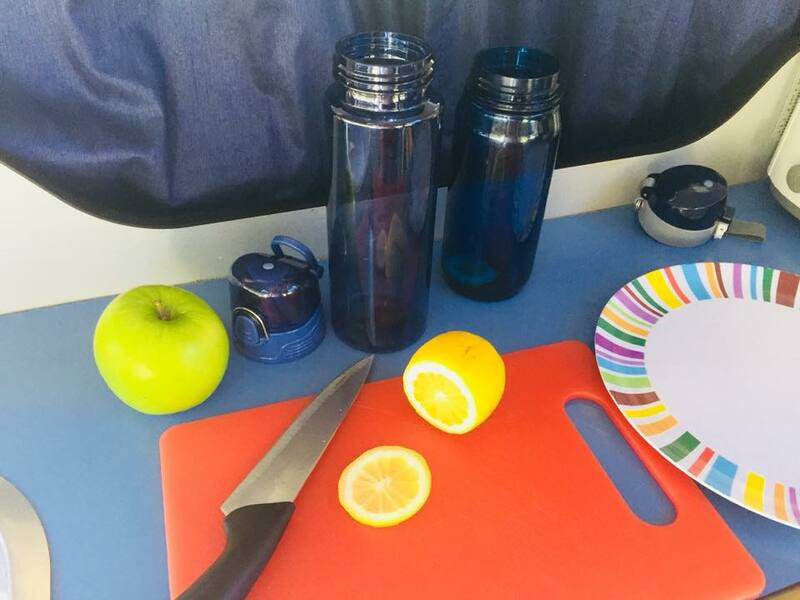 Re-fill your water bottle before car journeys, outdoor exercise or social visits. Simply, never be without your re-usable water bottle. When purchasing a re-usable water bottle, choose one that is BPA free. We also love to have ones with handles because this is super useful for walking or just simply when you are carrying too many things at once. Bottles with a tightly sealed lid and/or clip are also great because you can throw them into your bag without the worry of them needing to be up the right way. We even take our re-usable water bottles, empty, in our hand luggage through the security check at airports when we travel. Many airports are installing water fountains now, so filling up your bottle once you are clear of security is without a doubt a much better option than purchasing single-use plastic bottles in the departure lounge or onboard the plane. Remember to get re-fillable bottles for your kids too. Why not let them choose a cool one they will love and get them involved in re-filling it. Probably the most popular single-use plastic concern right now is the straw. Everyone has seen ‘refuse the straw‘ campaigns, all thanks to Sir David Attenborough who helped an important environmental issue become much more well known. There are so many ways you can refuse single-use straws thanks to its growing popularity. Try avoiding cartons of drink with single-use plastic straws attached and purchase some fun re-usable straws for your home. 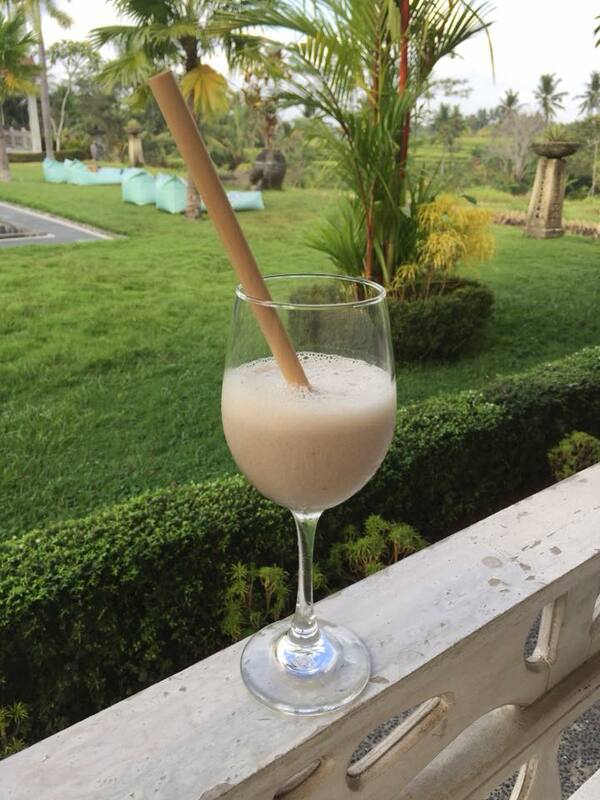 You may notice that many restaurants, bars and drink vendors are finding new and exciting ways to re-invent the straw. 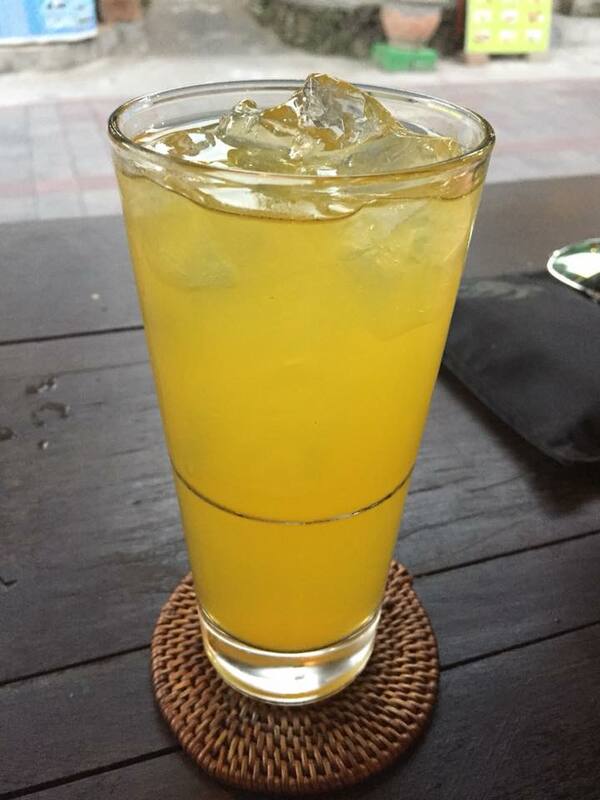 We’ve seen metal straws, bamboo straws, glass straws and more. Remember, it is no good refusing a single-use plastic straw after it has hit your drink, as it will only end up in the bin anyway. 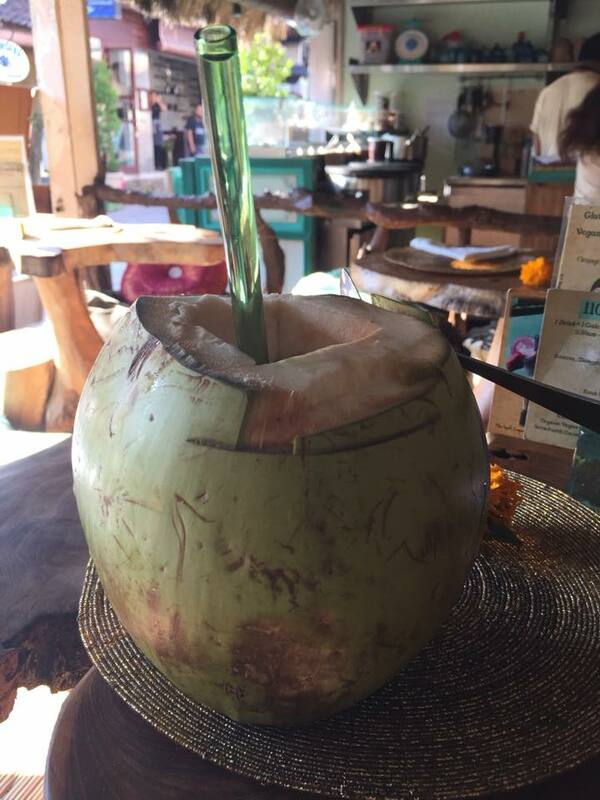 Ask your waitress or bartender if they have plastic-free straws when you order your drink and if they say no, kindly refuse your straw. Remember to get kids excited about re-usable straws by encouraging them to use re-usable bottles with re-usable straws attached and preparing for days out in order to avoid the need to buy products that come with nasty single-use plastic straws. You would probably be surprised how much of your food products come in non-recyclable packaging, I know I was. In fact, food packaging is one of the most common forms of single-use plastics. But there are some simple ways you can help to reduce your impact. 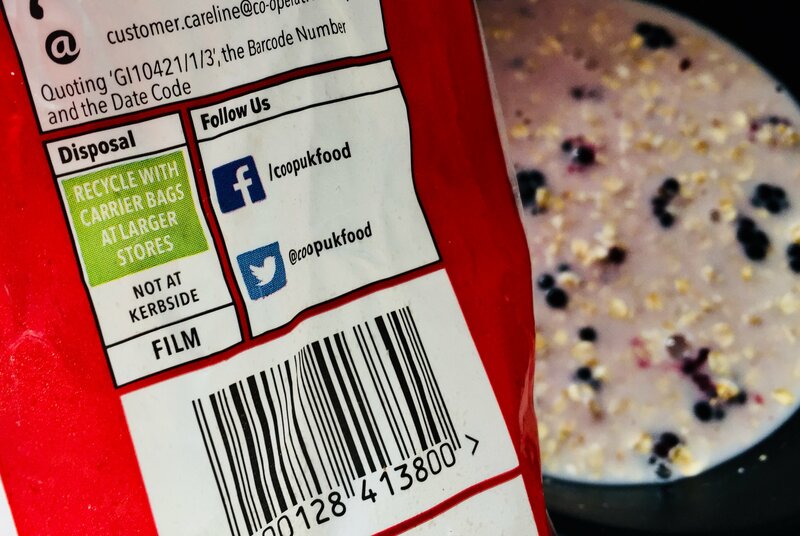 Firstly, read the packaging of the food you normally buy. If the brand has non-recyclable packaging but for 50p more you can buy a brand with recyclable packaging, pay 50p. Look out for the recycling symbol and avoid products that do not come in recyclable packaging. 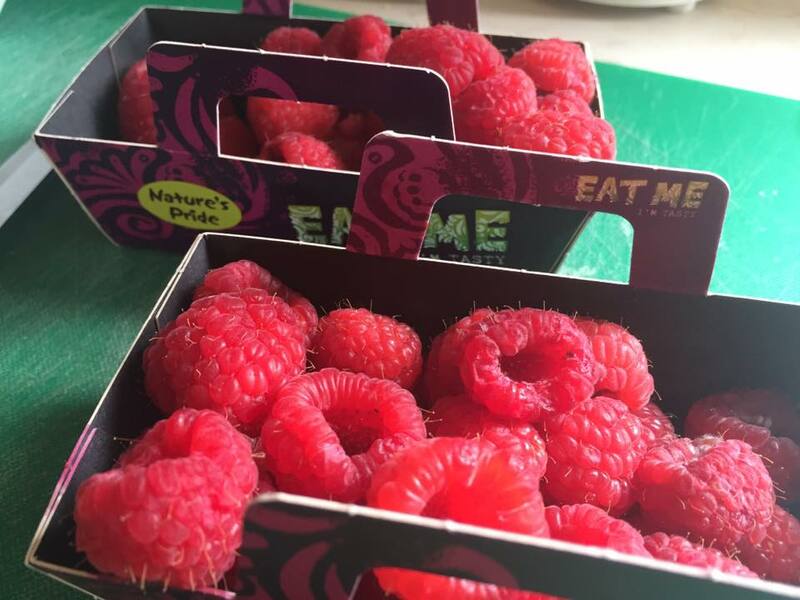 If you can, choose tins, boxes or glass when purchasing your food instead of plastic. Secondly, think about the times that you by food in packaging. If, for example, the only options for you to buy at lunchtime near your work all come in nasty single-use plastics, why not take a packed lunch from home? Taking food from home can be placed in a re-usable container and avoids the need for single-use plastics. Alternatively, find a local sandwich shop who use paper bags, or anything else more environmentally friendly than plastic packaging. 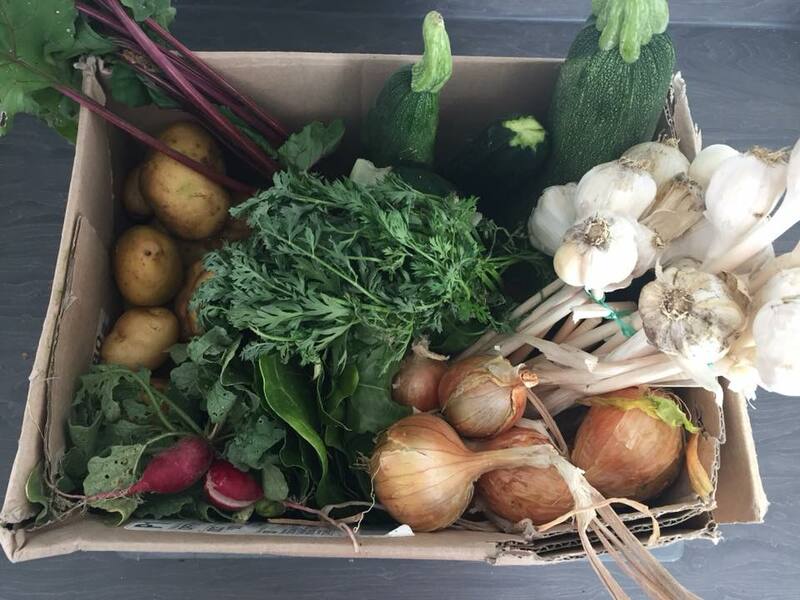 Lastly, when you shop for fresh produce, look for the fruits and vegetables that are not wrapped in plastic. 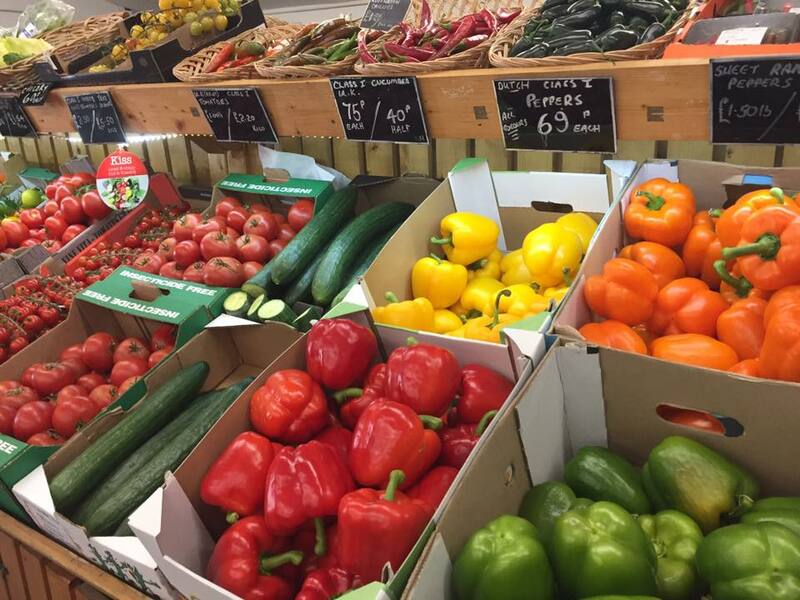 Loose fruit and veg may be a little dearer sometimes but buying food loose makes it a package-free food choice. You can also try eating less processed food which typically comes in lots of unnecessary packaging, and increase your consumption of fresh fruits and vegetables instead. If you are keen to start shopping differently, consider finding zero waste stores, like this exciting new one in London. Do you also live in Essex? We now have our very FIRST zero waste store, recently opened in Leigh on Sea. Check it out! Incorporating these ideas into your daily routine can have a huge reduction on your single-use plastic demand. If you’re still not convinced, why not experiment with storing your single-use plastics, normally destined for the bin, for just one week? This will enable you to see just how much plastic waste you and your family actually produce. It can be very alarming to realise the extent of the pressure just one household can put on the planet with their single-use plastic demand. We encourage you to share your current demand with us and then challenge you to reduce it, even if only in small ways initially, like the ones mentioned here. Also, try sharing your single-use plastic reduction tips with your friends and support each other in the challenge to reduce the overall single-use plastic impact. Don’t forget, we can all help to reduce the amount of single-use plastic waste that hits our oceans, harms our marine life, and ultimately ends up in our food chain. Start altering your daily routine in these small and simple ways and see what difference you can make. If you enjoyed 5 Ways To Reduce Single-Use Plastic, please like and share it so that others can benefit from it too. If you are already looking forward to the next Green Blog, receive it direct to your inbox by entering your email under ‘Subscribe’ at the top right of this page. Awesome! I do all of these but have really been struggling with #5. Gotta work at it! Hi Cynthia, it’s a tough one isn’t it? We are all so busy and plastic is certainly convenient! We have found that eating more whole foods has been both great for our bodies as well as being great for our plastic reduction. Good luck on your green journey and if you discover any cool new products or useful tips, please share them with us so we can keep learning and growing too! I love all of these ideas! they are amazing. I am always trying to find more ways to go green. Thank you for this! Hi Christina, thank you so much for your kind words and feedback. We are always trying to find more ways to be greener too. If you find any great new tips, please share them with us on our Facebook or Instagram pages. I love this! I was just telling my husband that we need to make some changes to reduce our waste. Hi Natalie, that’s amazing news! We think it’s incredible how much difference we can make with just a few minor lifestyle changes. Thank you so much for your comment and we are so chuffed to hear you loved our post. I really want to invest in a Klean Kanteen for the 3 of us in the house. Very good with the reusable bags and coffee mugs though! Thanks Katy! We go everywhere now with our cloth bags and a reusable mug. If you discover any amazing eco products, please feel free to share them with us and we love learning and discovering new ideas too. That’s great. Thank you for sharing these ideas. I’m also very keen on reducing waste. Hi Margarida, thank you for your kind words and comment. We are so happy to hear you are passionate about this too! We are so pleased you like the ideas and we look forward to sharing more in the near future. This is a great post with great research. I’ve been trying things to stop using so much plastic. With the straw portion, I’ve noticed that some restaurants have started using recycled paper straw. It’s awesome! Thank you so much for your comment Heather! So do we 🙂 if you have any great tips for us please feel free to share and we look forward to sharing more tips in our future blogs.